Many times after an accident people do not have adequate means of transportation and they are also out of work during their recovery. We understand that our clients do not have the resources to pay up front for a lawyer’s services immediately after a disabling injury, therefore we work only on contingency. CAUTION: Don’t waste any time with a lawyer that asks you to pay up front costs or charges per hour for your personal injury claim. We do not charge per hour and we do not expect you to pay any up front costs to get your claim started. We offer free consultations on the telephone as well as in our law office. If you have no means of transportation or you are not able to come to us, we will come to you! 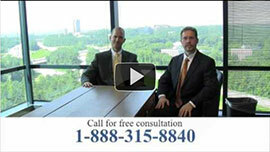 For a free no obligation consultation with one of our lawyers, call us today at 404-315-8840.